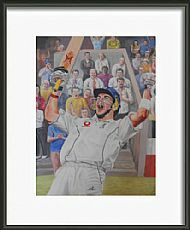 England cricketer Kevin Pieterson was another defining team member in what can be claimed to be the best Ashes series ever with Englands 2005 Victory over Australia. Not being a cricket fan, David was fascinated by this series and found cricket more exciting than he had previously thought. 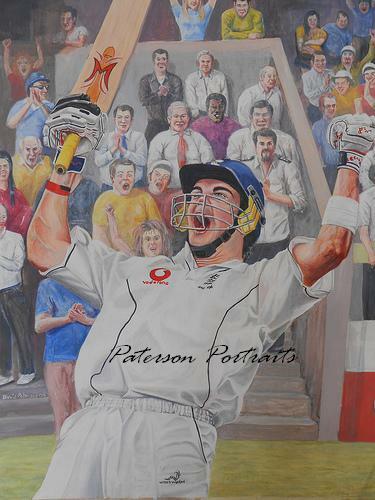 It was this that inspired him to paint three portraits of 2005 team members. This Acrylic Portrait comes mounted and framed.